You can work on any project you have going at any stage of completion. You shoot for a minimum of 250 words a day, five days a week. You do NOT flog yourself to catch up on missed words for days you did not write. You NEVER owe more than 250 words in a day, no matter if you missed a full week or a full month of writing. You acknowledge that all this has to be is fun—it isn’t work, a competition, or a form of self-flagellation—and if knocking out your words at this pace stops being fun, you walk away with no guilt. Your aim is to finish your book. What you do with it after that is up to you. NOTE: You can join in at any time, and you can start anywhere in any project you have going or want to begin. I’ll work on whatever book (or course) I’m writing at the time. BEGINNER: You can do the minimum words for as many days a week as I work (generally five). At 250 words per night, you’ll finish the first draft of a 100K novel (longish) in 400 working days. You’ll finish the first draft of a 60,000-word novel in 240 working days. INTERMEDIATE: You can pace me—get my word count from the blog every day and match that every day you work—and work as many days as I work. You’ll finish your first draft pretty quickly. ADVANCED: You can pick your own wordcount (this is for folks on tighter deadlines with bigger wordcounts who still want to do this, as well as for folks who only want to commit to 100 words a day, or 50, or 25), and just sign in as often as you like to report your progress. This is a low-pressure gig: The idea, especially if you’re a beginner, is just for you to get the feel of writing a book by doing small amounts consistently. I finish novels, so I’m a good pace rabbit, and if you commit to 250 words a day, you’ll see pages adding up without insane high-pressure goals, and realize you can do this. 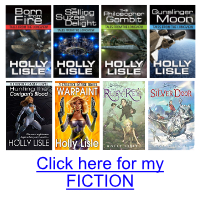 Or just bookmark the Write A Book With Me category, and check in on the latest. Either way, post your progress to the most current post in the WABWM thread, and we’ll cheer you on, or commiserate, or offer encouragement. It’s too hard for me to keep up with so many open threads. So use the link above to find the most current WABWM post, and add your comment there. Don’t worry. You don’t have to sign up to play. Just start playing. Perfect timing! Thanks Holly. This may be just what I need to get over the ‘hump’ in the midst of my first fantasy novel. Good luck, Steve. I’ll be cheering for you. This is similar to something my brother and I did. He’s an artist and I’m trying to write my first novel, so we termed it the “Inspirational Motivational Challenge (IMC)”. Rules were you had to work on your project for half an hour every day, and if you hadn’t at the end of the week you didn’t get to see/read the other persons progress. It worked for me for a while but then I kind of fizzled out. But I’m ready to give it a go again!! I’m in. I need to do something and my schedule is so whacked I find myself falling into a pit of despair every time I realize it’s time for bed and I have not written a word. 250 words a day is perfect, I can probably do that at lunch while at work and then tweak it when I get home. I’m in. Will first finish the short I’m hoping will be included in an anthology, finish the little bit of editing on a novel then get to that new novel with the protag from another short story I’ve been itching to write. 250 per day it is. Whoa! The words just flew today. My goal was 500 but I finished at 1,380 for a new total over 29k. This sounds like fun. I’m in for the count. Sounds like a plan. 250 a day will add up. I’m in too. 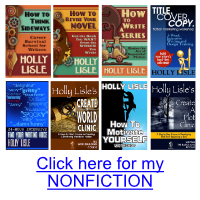 Had a plan to start my own July NaNo 1,667/per day level on the 1st, but the min. of 250 sounds like a comfy pillow in case these skates don’t work. Thanks Holly! Pam—the 250 will make a nice “at least I got something” for any days when you don’t hit your goal. And those words will count too. Good luck. Ok I’m in, today I have been motivated to pull my WIP out of moth balls and get back at it. I have been able to get my 200 words on to paper today, but I am not sure I am done yet…..;) Thank you Holly, and others for your motivation. Word count todate 13.9 thousand. That includes the 300 I put to paper yesterday. Now for today! thanks Holly! Angels be with you in your dreams. Thank you, Holly. Sometimes slow and steady wins the race. Guess I am the proverbial tortoise, but I am determined to finish. This is the perfect time for me to sign up for this altogether do-able challenge. I am just about to finish the first draft of the first scene of the book I want with all my heart to write, which in itself is a huge step. I have a lot of writing ahead of me, but I know I can do it, and it will be a privilege to keep my own slow pace with you. I ordinarily shy away from word-count challenges, but you have made this so friendly a challenge that I’m in! I’m glad you’re in. Welcome. What a great idea. I started hand-writing a novel last year. Last week I finally typed it up and I’m at about 19.5K words. So this is great motivation to continue. Thx. This sounds awesome! I am so in!! Thanks for this opportunity. Count me in. I need the motivation to really get with the program without the threat of reprimand if life gets in the way and I have to detour on some days. Thank you, thank you, thank you. Count me in…I need the motivation! Have a great story I keep putting off… What is the widget? Sounds good! I’ve been ambling along with a novel too, since March, so why not join in? I haven’t taken this long to write a novel since I was in highschool, when I never finished anything, but I like being able to take my time, and get to know my characters. My only fear is that when my clinical rotations start in July, I won’t be able to keep writing. But 250 words a day really isn’t that much. Surely I can steal the time. I’ve found if I set a timer, I can knock out at least 100 words in ten minutes. I frequently can hit 300. And there’s the writing day if I need it to be. Ten minutes might fit into clinical rotations. If it doesn’t, try two fives. Count me in. I’ve been searching for the best approach to ensure I write something every day. This is exactly the kind of motivation I need! The cool thing I’ve found about writing 250 – 300 wpd is that you are almost always at a place where you don’t want to stop! I’ve always found when I was writing in the zone where the words just kept coming and I wrote until it stopped that I didn’t have anything for the next day. This way, the pump is almost always primed for the next day. Tortoise versus the hare stuff. I’ve posted all of my writing online for each day. I’ve also come up with a list of people who are my lurking readers so they know about the site. They can comment, but few do. But it’s enough for me to know I have an audience. Seems to work so far. Aye-aye-aye. I’m working on organizing all my novels, stories, and the accompanying small bits of information, character lists, and worldbuilding notes into a wiki — so the problem is what do I start with? The story I dreamed the other day and finished half of, I suppose: Bill the Shoemaker. He’ll work okay — figuring a 7K short. After that, my wiki will be organized and I can make a rational decision. We’ll say 500 words/day, which will get me done in a week. Of course, when I get 300 words written, I wind up in The Zone — and then there’s no telling where I will stop. And then the next day I say, Oh, I wrote 2500 words yesterday, so I don’t have to write — and then I get out of the habit! So I’ll just firmly commit to: Something Fresh Every Bloody Day. Holly, you are awesome. I’m in. Now which WIP do I dust off for this! *paws through the WIP file* ah here we go…a demon paranormal, that’ll do, that’ll do. Count me in, too. Thanks, Holly…and all those who are participating. Happy writing! I will have a really good go, I am keeping a record on my site via a widget counter thingy watsit. I put it on today to keep me focused, your plan will really help, thanks Holly. I read your blog daily, but I’ve always been a shadow lurker. I think this is a wonderful idea and I want to participate! This is a super idea! Holly, you don’t mind if I retweet and blog about this, do you? Nienke—I don’t mind at all. I love seeing what other folks are accomplishing. And I love being a part of what helps them do it. I think the pursuit of dreams and creativity is a basic human right. Like breathing. So you may certainly share. I’d love to do this. Count me in. After 50+ years, I finally discovered writing was consistent, daily work. The whole mystic quality of muses was for the birds. So on the day after my birthday in January, I committed to write 250 words per day, every day. So far, I’ve written consistently for 154 days, 55K+ words. I’ve discovered the muses are actually attracted to that behavior! Some days have been tougher than others (and my personal rule up to this point have just been to write 250 words–which is actually averaging about 350; if I get tired of a story, I drop it, which I know goes against the “finish what you write” idea), but writing something everyday has been the key, just like running a little every day was the key to finishing the two marathons I’ve been in (and I’m not an athlete by any means). I’m convinced if you are serious about your writing, you have to be consistent in writing. The rules are simple; carrying them out is the hard part, but it does get a little easier over time. Great job, Holly! No such thing as too old. There is not point in your life where pursuing your dreams and making them real in inappropriate. So welcome. Glad you’re here. Wholeheartedly agree! Age is irrelevant. Consistency and persistence are the only two things that matter to me. The rest just seems to come of its own. I just need to keep my conduit free of debris so the story will come. I’m in. I need some motivation. I have one chapter so maybe I can just meander my way to the end. 🙂 Thanks for the invitation! I’m so in to this! When I write, I like to do 500-700 words a day. But some days, I just edit my previous writing. So an average of 250 sounds about right. I commit! I’ve been puttering around on a novel I’d intended to have finished three years ago. Enough Is Enough. I could and do plead “other writing work” but only an idiot wouldn’t use a dry spell constructively. Not that I’m not occasionally (or even often) an idiot. I finished my first novel according to the basic plan you put out in Setting Writing Goals. I even have this novel, henceforth known as That Damned Book, plotted, outlined scene by scene and have 67K written on it. I wanna finish it just to have something to work with for the EDITING process! “The Damned Book”… Yeah, that’s been my working title from time to time too. 😀 Welcome. I’m in. I need to do something, anything to break myself out of this funk. I ran, ran, and ran; I did, for 4 hours, Alas! Zero words written! Ya, I did a kind of stand-in-a-place jogging – made my way through 4600 words that were written earlier – adding a few words here, deleting a sentence there, substituting a word with its synonym, for about four hours. But eh guys, afterwards, I also wrote about 1- 2- no, 300 words!!! Now, Holly, How many words have I actually written? should I count? With editing, you count differently—but if you edited 4600 words, you still wrote. 😀 And that counts. Just do it as 20 pages edited, and 300 words, or however you want. By the way, I liked your first work ‘Fire in the Mist’. Will your eyes glow, if I say I finished it in a single sitting? – My computer non stop reading it aloud, and I sitting in front of it recreating your dreams in my mind’s eye. Thank you. I’m delighted you liked it. I’m happy with the way it turned out, and I managed to tell the story I wanted to tell. I am in! I am currently rewriting a novella, so doing 250 words a day will be possible, at least in this part of the draft. sigh. I love your rules Holly, this makes it all opportunity, no pressure. Except for the pressure we put on ourselves. But working with a small goal such as only 250 words alleviates the pressure a little bit. That and running with a pro that has done this before. I’ve been lurking here sporadically and this sounds like something I can managed, so I’m definitely in. ::grins:: Now I just have to figure out which characters to write. I’m in aswell, I think this will be the motavation I need to write SOMETHING daily. Apprently 251 words is nothing for me tonight, so I must raise the bar a little for myself and aim for more. What do rabbits like me do? I suppose there are a few like me: take off in a sprint, really a headlong dash, (I am sorry, but it is all the muse’s fault; She pushes me down hill on a brakeless bike to have a roller-coaster ride. Oh! I enjoy it 🙂 OK, after a while I stop, gasp for breath, come back, and retrace the path for mistakes and omissions. A sort of recollection of emotional overflowings in tranquility. How do we count our words? I haven’t actualy started writing anything yet because I am taking Thinking Sideways and I am still waiting for Lesson Three…but as soon as I get The Sentence, well I am so game! This will be a great way to help me finish a book. Hey, Holly. I’ve been a long time reader *coughLURKER/STALKERcough* of your blog and I am so very interested in this project! There’s no time like the present! My story is a fantasy about a young artist with a very unusual talent. I have some of the ground work done, but I’ll be working on culture and character as I go. This should be fun!